Whether teaching writing or studying grammar on your own to improve your writing, make Individual Mastery Plans. IMPs enable students to correct grammar, repair punctuation, fix other errors in their writing. For an easier to read English language encyclopedia or general reference try Simple Wikipedia the free encyclopedia. Search the 85,392 articles in the Simple English Wikipedia. Here is another short article about it. 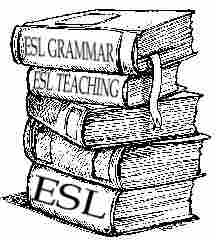 How to write Simple English pages: these guidelines for writing articles here is also useful for general ESL writing.